FAIRHAVEN, Mass. 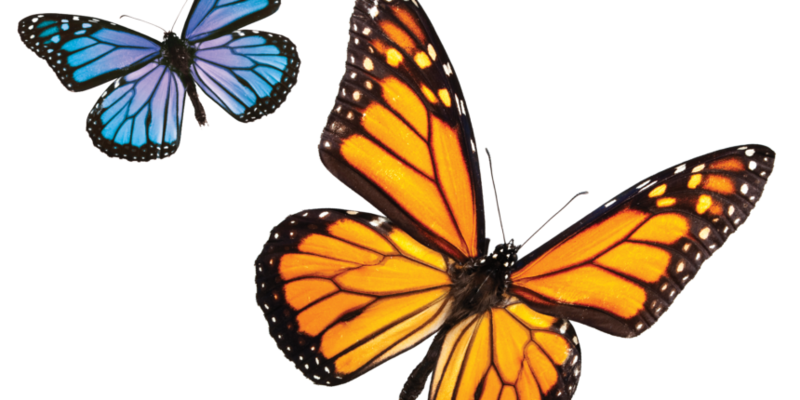 – Southcoast Visiting Nurse Association, known in the community as Southcoast VNA, will host the fourth annual “Hope Takes Flight: A Butterfly Release” on Saturday, September 12 from 1 to 3 p.m. at the Fairhaven Senior Center, 229 Huttleston Avenue in Fairhaven. All proceeds will benefit Southcoast VNA’s Hospice & Palliative Care Program. As part of the event, there will be a release of more than 200 live butterflies to honor and remember loved ones who have died. Other activities will include musical performances, inspirational readings and a special recognition of Gwen Hofmann, Hospice Chaplain; Jeff Jenkins, Hospice volunteer; and Jeff Bacon and David Latessa, co-founders of Sharing One Family to Another: A Morressette Family Charity. A silent auction and prize raffle will also be held throughout the afternoon, and light refreshments will be served. The event will take place rain or shine. Butterflies to honor a loved one can be purchased before August 21 for a $25 minimum donation, which will include a listing of a loved one’s name in the event program book. A limited number of butterflies may be available after that date while supplies last. o order a butterfly or for more information about the event, visit www.southcoastvna.org or contact Southcoast VNA Community Affairs at 508-973-3470 or scvnacommunityaffairs@southcoast.org.